It’s great to be noticed, especially in high-traffic and potentially dangerous workplaces. It’s fast becoming mandatory in some industries to wear highly reflective, hi vis work and safety wear clothing to help safeguard you but what other benefits can you expect from wearing fluro yellow or orange clothing? 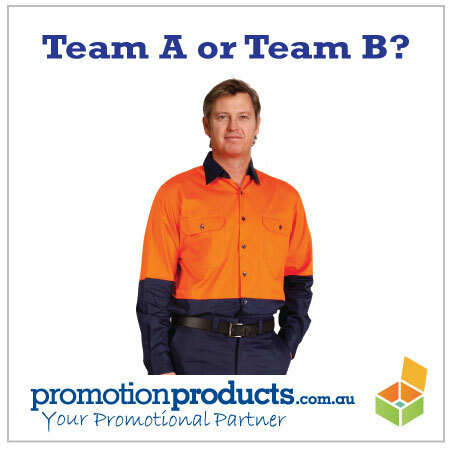 We come across companies everyday who need help with their teams’ identities and they lean towards promotional clothing, and in hands-on industries, embroidered hi vis clothing to clearly separate team A from team B. Competition is healthy in business but what’s not always cultured is competition within companies. Sure. we’re all the same team striving to meet our goals but introducing a little competition can be a healthy form of inducement. You can establish realistic performance goals then reward winning groups with token promotional items. Alternatively, designating a “yellow’ team and an “orange” team will help to give staff a clear identity aligned with their differing work functions. This entry was posted in promotional clothing and tagged branding, clothing, outdoors by admin. Bookmark the permalink.